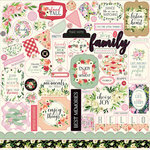 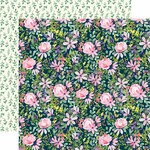 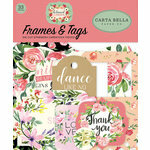 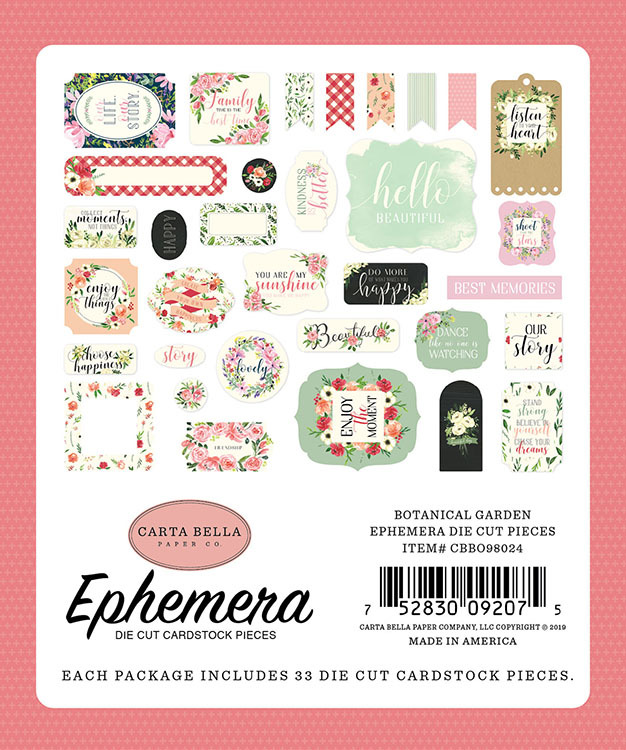 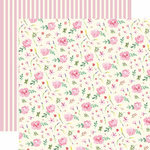 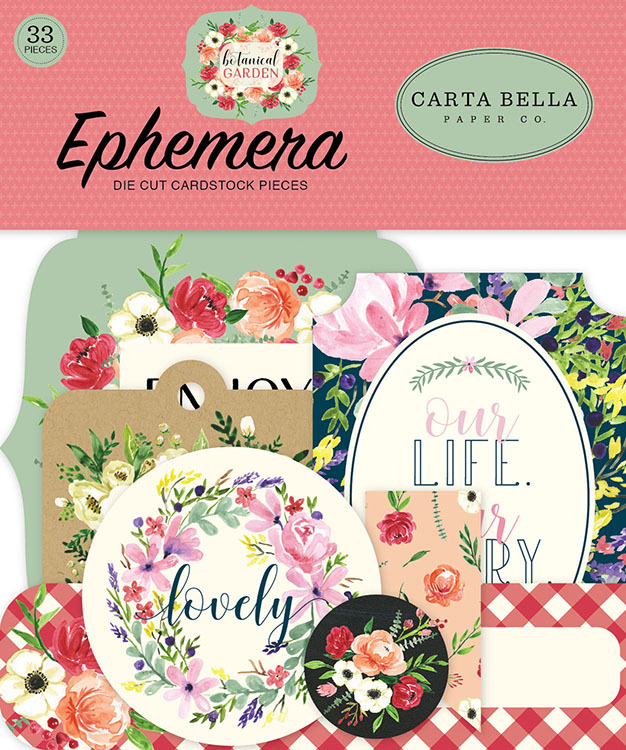 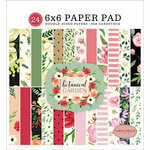 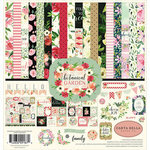 Add a sprig of happiness to your crafts with the Botanical Garden Collection Ephemera from Carta Bella Paper. 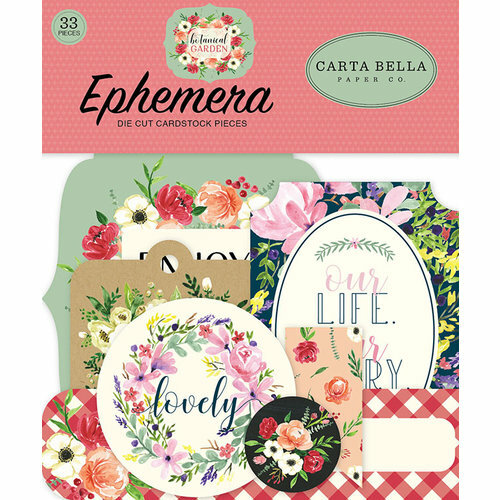 There are 33 assorted die cut cardstock pieces included that are made in the USA. 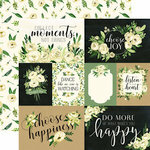 The pieces feature flowers and phrases like "Our life. 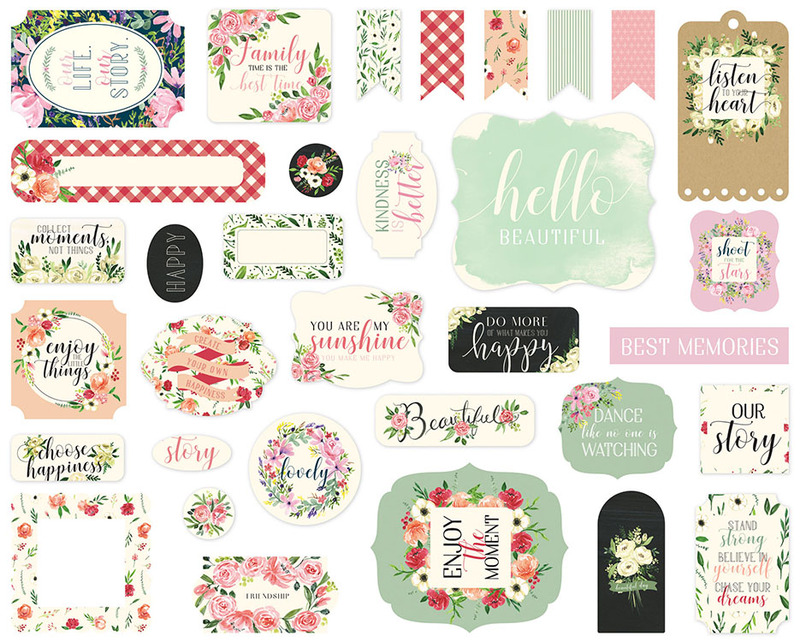 Our story" and "lovely."